Zenos sculpts the work in clay. Here Sgt. 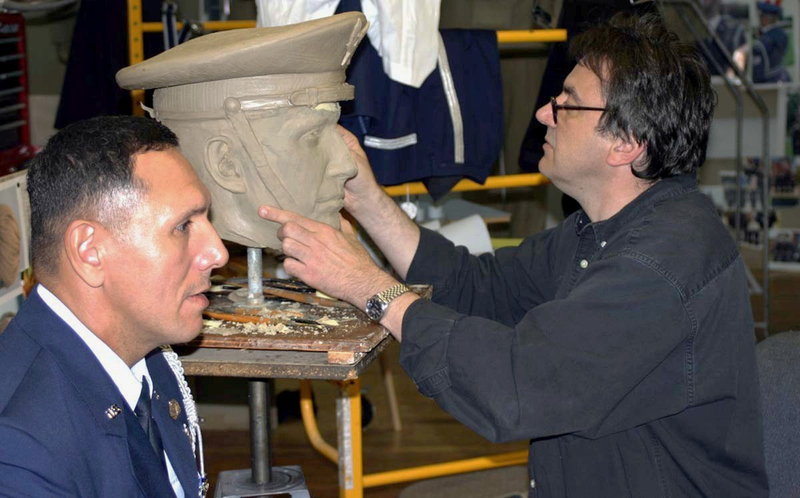 William Diaz poses for a portrait to be part of the Honor Guard sculpture. 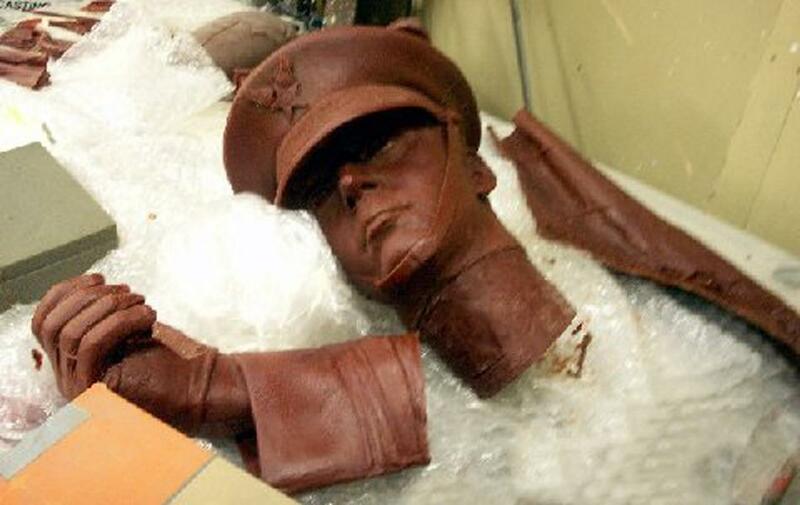 The sculpture is completed in clay. Rubber molds are painted on the clay. 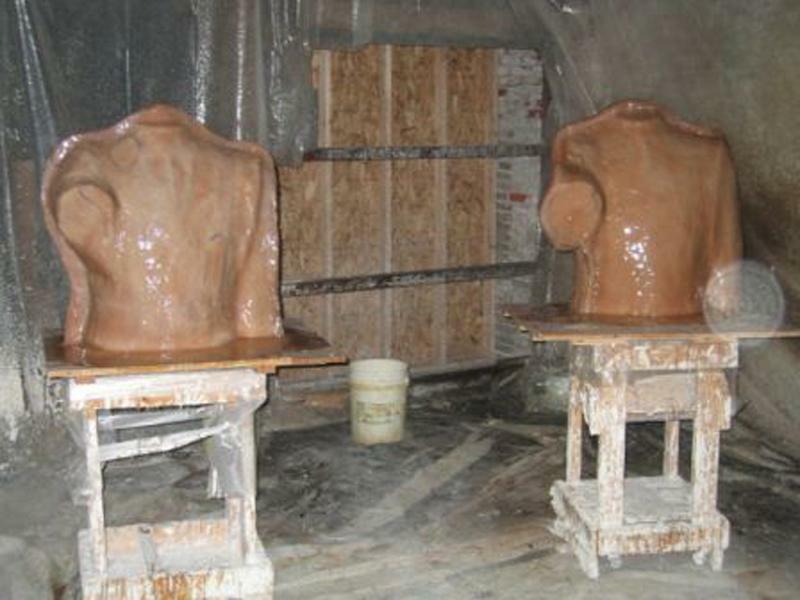 Plaster mother molds are created to support the rubber molds. The artist works on the waxes to refresh the surfaces. Ceramic molds are made on the wax models. 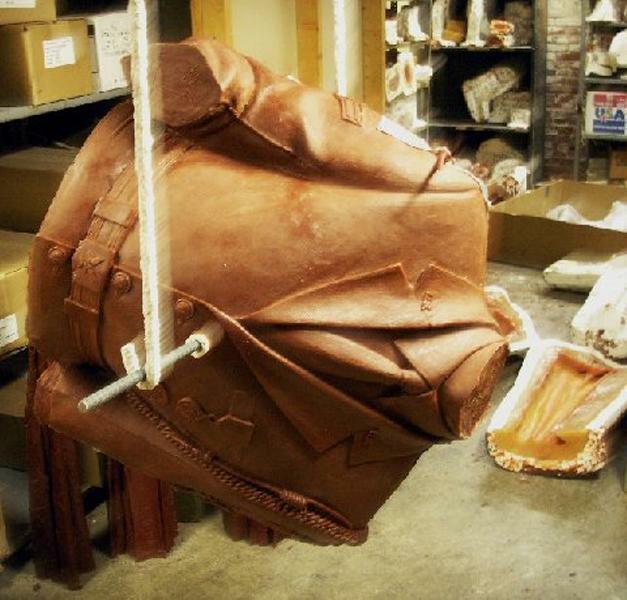 Liquid bronze fills the ceramic molds as wax pours out. 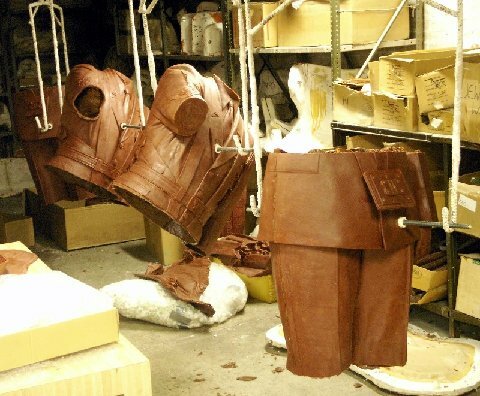 After the liquid bronze cools and the ceramic shell is removed by hammers, bronze cases, in parts, are assembled. Bronze parts are welded together. 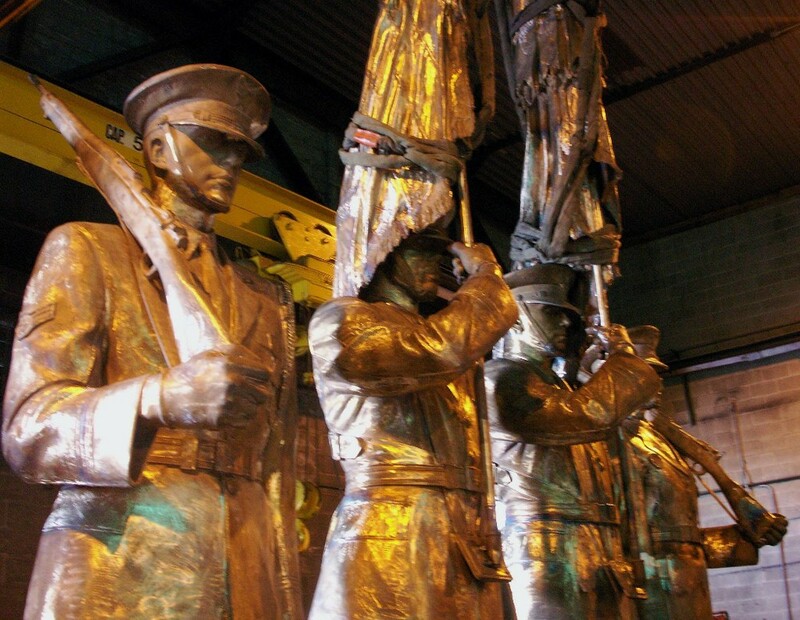 Bronzes are sand blasted to remove any remaining particles in preparation for patina, the colorizing bronze surfaces with a blow torch and acids. 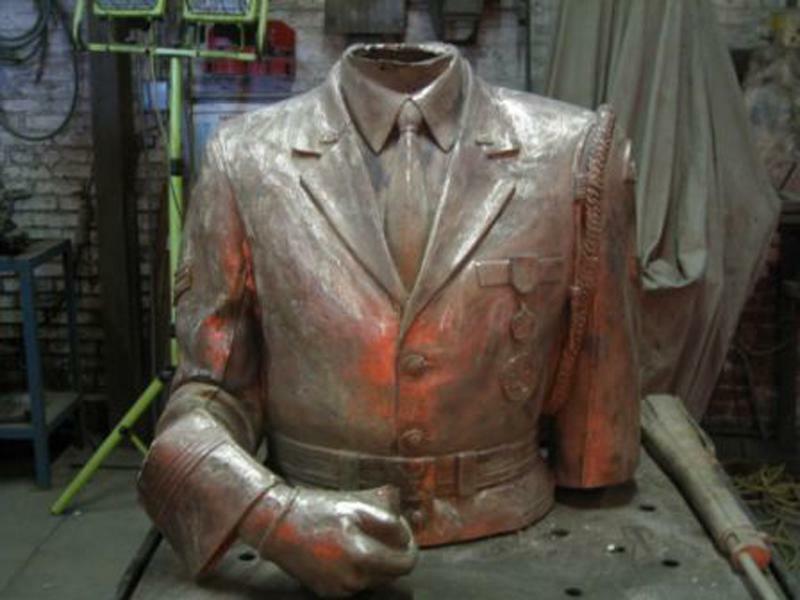 For most of his professional career Zenos Frudakis has cast his work with Laran Bronze Foundry in Chester, Pennsylvania. 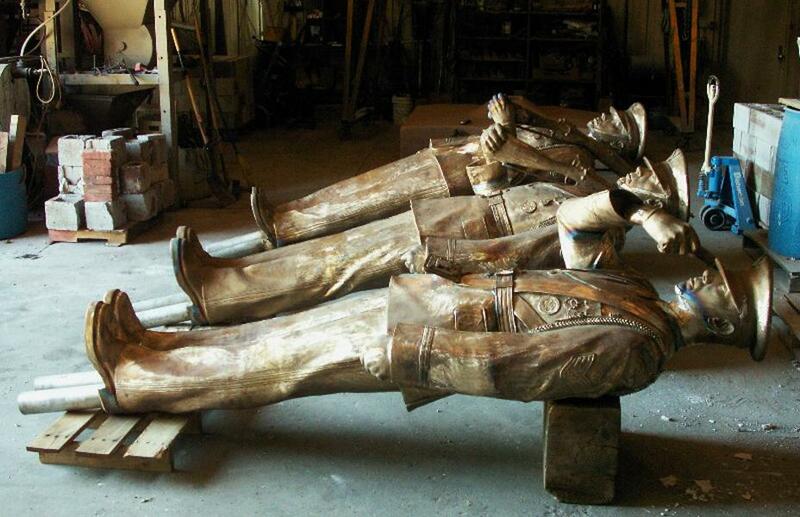 Created by brothers Larry and Randy Welker of Shippensburg, Pennsylvania, and Larry's wife Diane, Laran Bronze, housed in the former Sun Ship Building, is a full-service fine art foundry. Work created by Zenos is cast by the lost wax method. Zenos works very carefully with the foundry to ensure the quality of the work from beginning to end, from mold-making through the patina (external coloring of bronze).